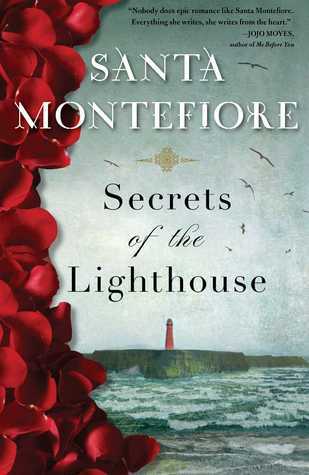 Today I'm featuring the opening and a teaser from one of my next reads, Secrets of the Lighthouse by Santa Montefiore, which I borrowed from the library. It is autumn and yet it feels more like summer. The sun is bright and warm, the sky a translucent, flawless blue. Ringed plovers and little terns cavort on the sand, and bees search for nectar in the purple bell heather, for the frosts are yet to come and the rays are still hot on their backs. Hares seek cover in the long grasses, and butterflies, hatched in the unseasonal weather, flutter about the gorse in search of food. Only the shadows are longer now, and the nights close in early, damp and cold and dark. Ellen Trawton arrived at Shannon Airport with a single suitcase, fake-fur jacket, skinny jeans, and a pair of fine leather boots, which would soon prove highly unsuitable for the wild and rugged countryside of Connemara. She had never been to Ireland before and had no memory of her mother's sister, Peg, with whom she had arranged to stay, under the pretext of seeking peace and solitude in order to write a novel. 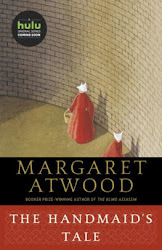 As a London girl, Ellen rather dreaded the countryside, considering it muddy and notoriously quiet, but her aunt's was the only place she knew where her mother would not come looking for her--and the only place she could stay without having to spend a great deal of money. Having quit her job in marketing for a small Chelsea jeweler, she was in no position to be extravagant. She hoped Aunt Peg was rich and lived in a big house in a civilized part of the country, near a thriving town with shops and cafes. She didn't think she'd last if she lived in the middle of nowhere with only sheep to talk to. Teaser: "Ellen felt uplifted by Oswald's advice. She was used to her mother squashing her enthusiasm." My thoughts: I'm wondering why Ellen left her job and is removing herself from life as she knows it. And having just returned from a week in Dublin, I'm looking forward to extending my "stay" in one of my favorite countries, even if only by reading. First Chapter ~ First Paragraph #84 and Teaser Tuesdays was originally published by Catherine for bookclublibrarian.com. This post cannot be republished without attribution.